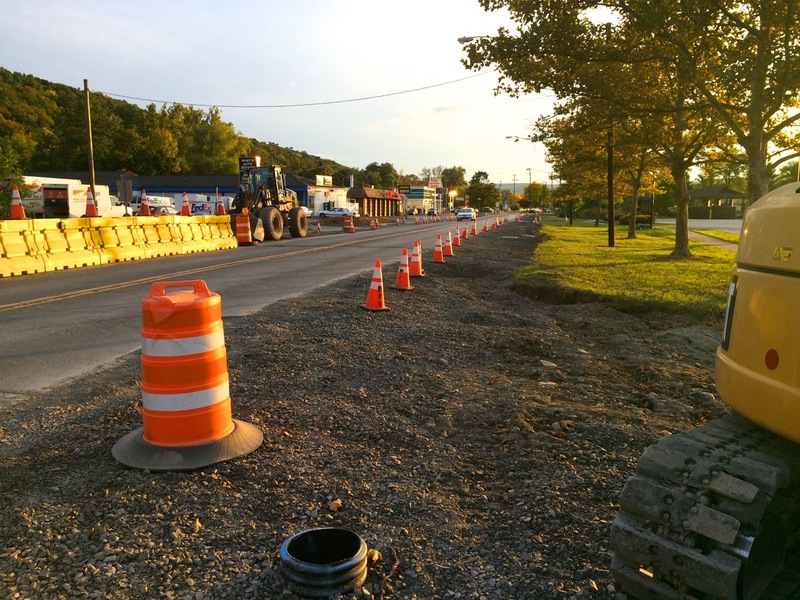 Vitale Contractors has been working away on the Old Elmira Complete Streets project, excavating old stormwater drains, and installing new piping and precast concrete vaults, and backfilling with new stone. 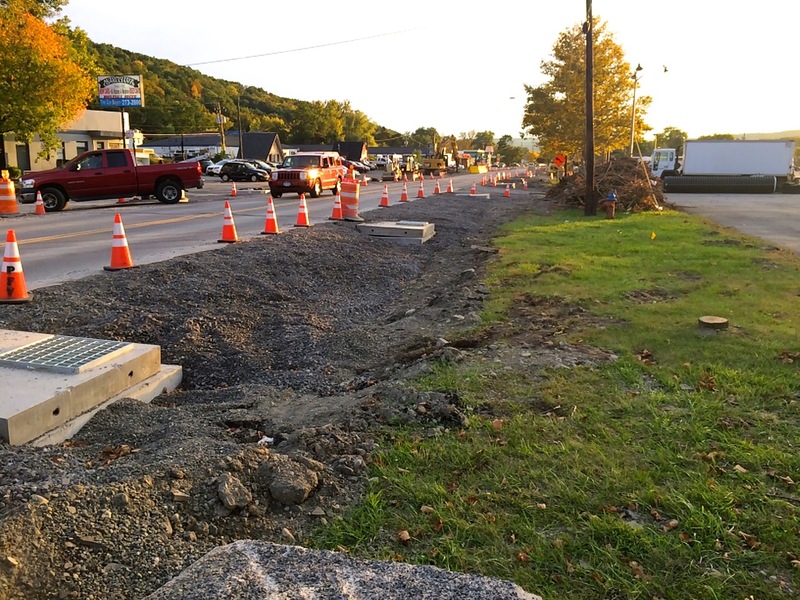 The new stormwater infrastructure has made it past the halfway point, and once complete, we should expect to see sidewalk and curbing forms lining the north side of the street. 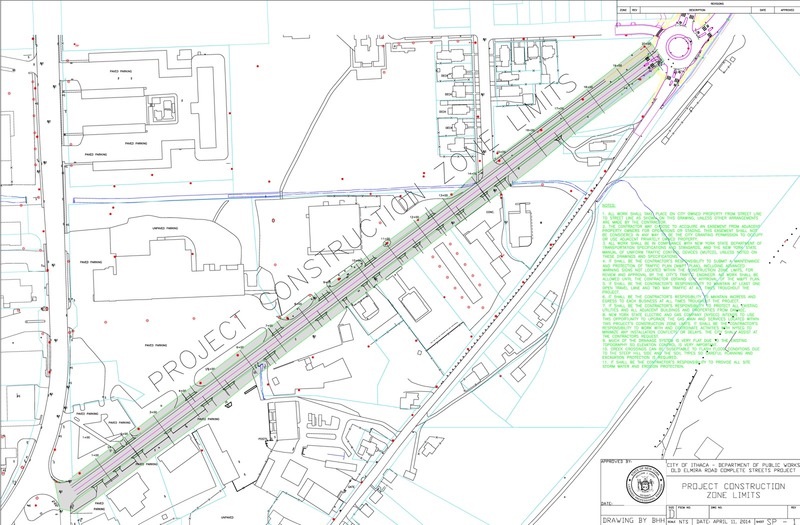 The $1.3m Old Elmira Road Complete Streets Project is being funded with a $680,000 grant from the Southern Tier Regional Economic Development Council, sidewalk assessments as determined by the new Sidewalk Policy (paid by the property owners), and the remaining sum from the City of Ithaca. 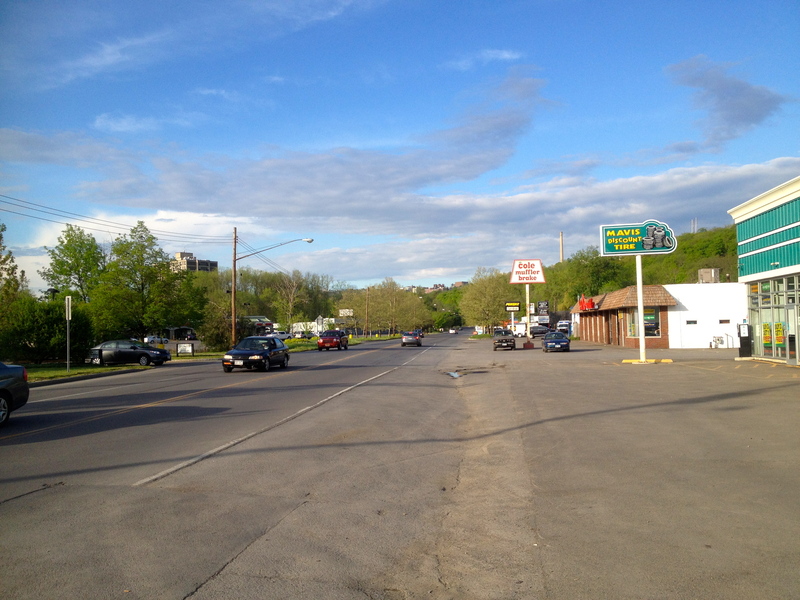 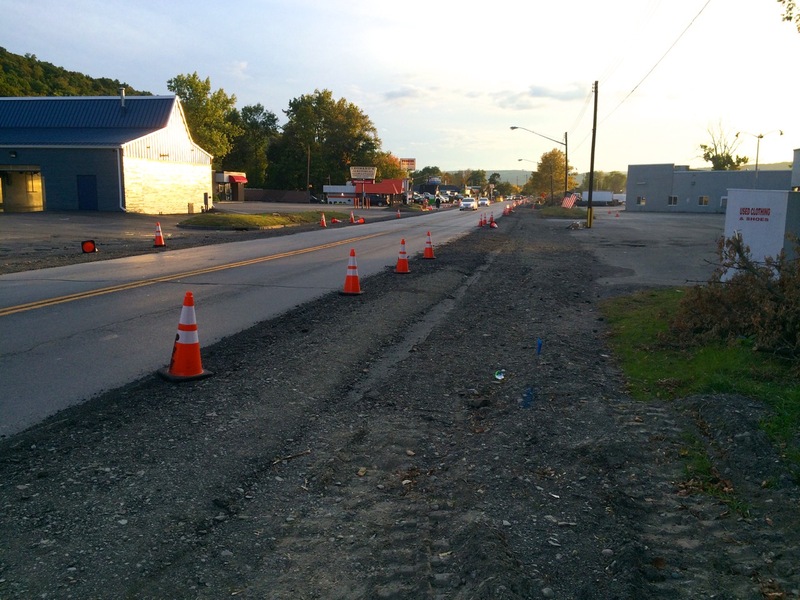 Vitale Contractors start work on the Old Elmira Road Complete Streets Project next week, as plans were finalized and bid out earlier this year in June. 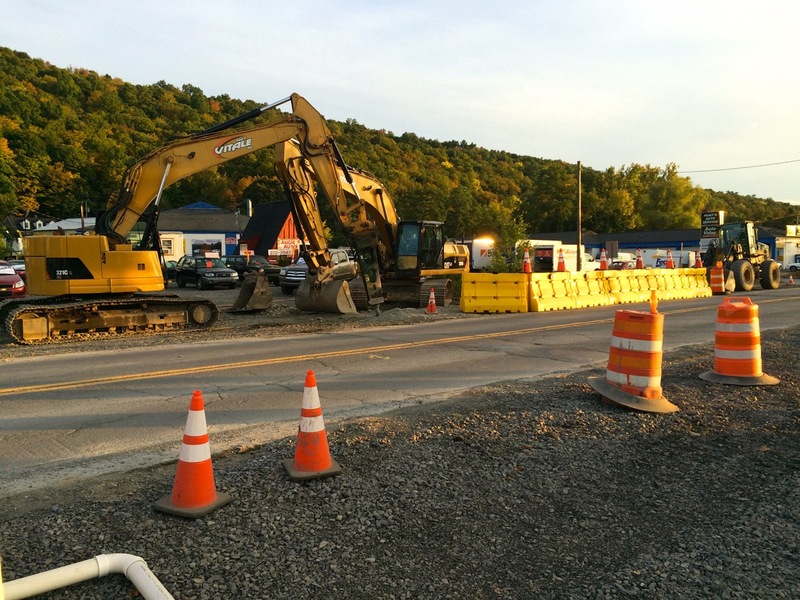 The City of Ithaca received a grant of $680,000 from the Southern Tier Economic Development Council (our EDC regional council) to complete the work. 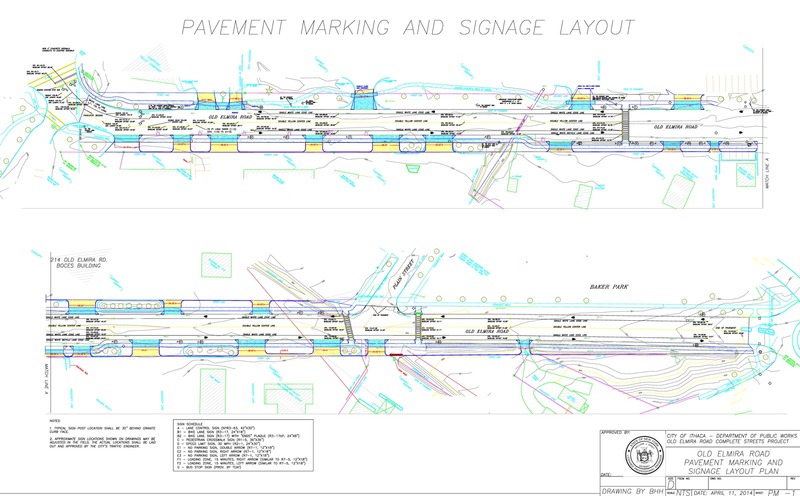 Previous City policy holds that adjacent property owners are assessed for 50% of the cost of installation of curbing, and 100% of the cost for sidewalks, but according to the new sidewalk policy, the creation of a work credit would lessen the assessed burden. 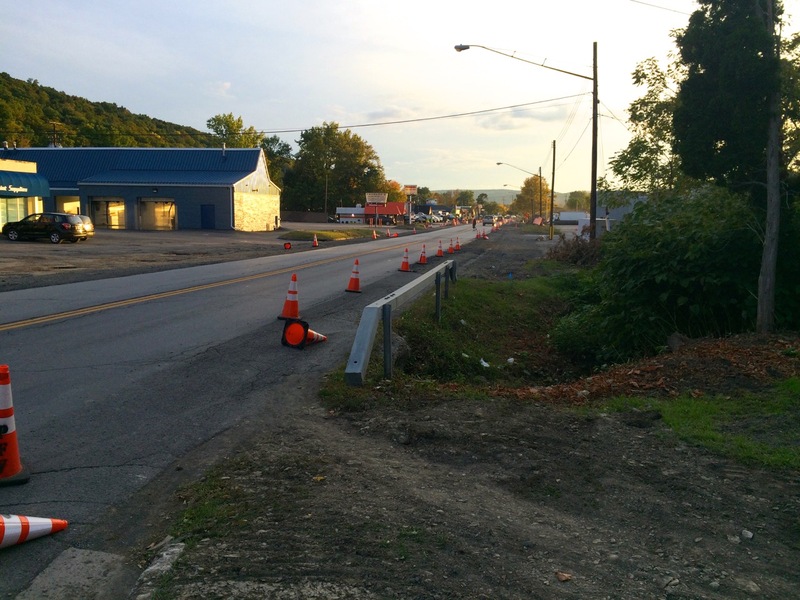 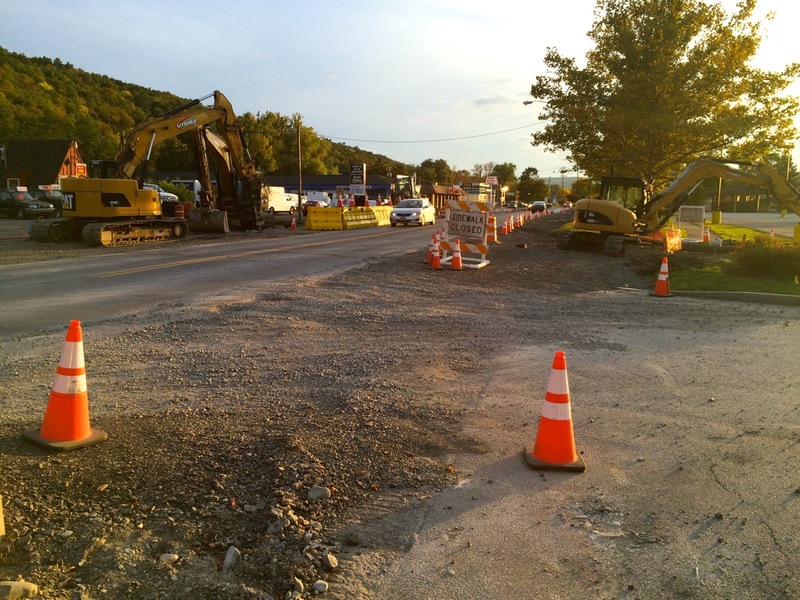 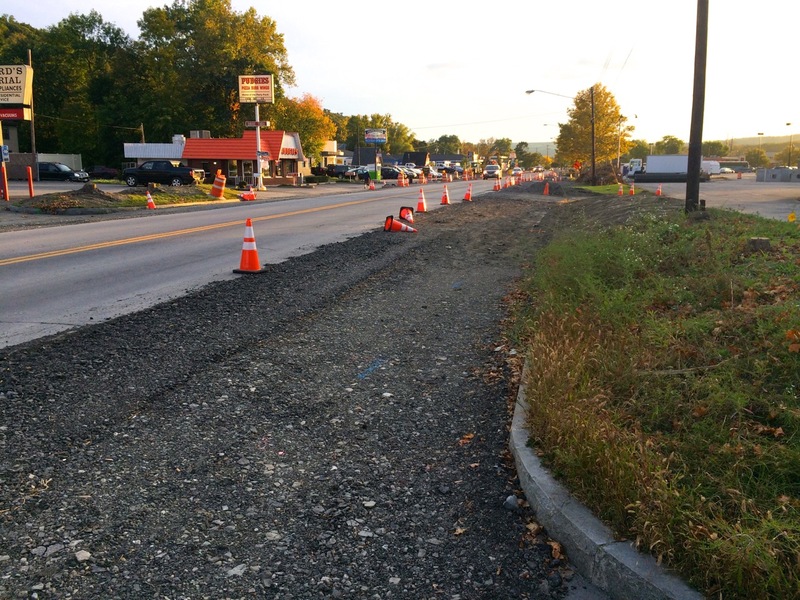 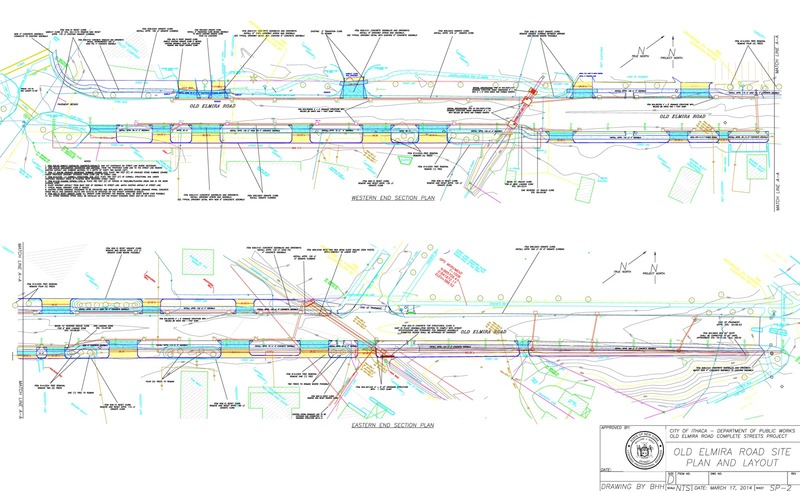 The plans were completed by the City of Ithaca Department of Public Works, and include bike lanes, new sidewalks, and curbing from Route 13 to the roundabout with Spencer Road. 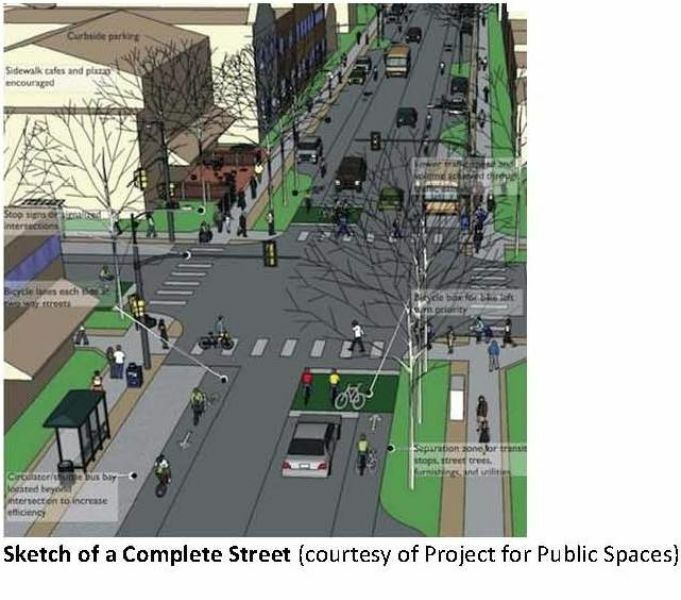 Complete Streets is a planning concept and transportation policy that aims to safely include all transportation users (pedestrians, motor vehicles, cyclists, people of all ages), rather than focusing solely on motor vehicles.